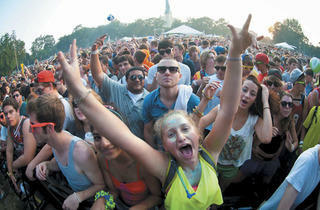 The EDM party keeps the summer groove going for one last weekend. Returning to Union Park for its third year, hippie-leaning jam-rap-dance fest North Coast is clearly sticking with an if-it-ain’t-broke-don’t-fix-it policy. 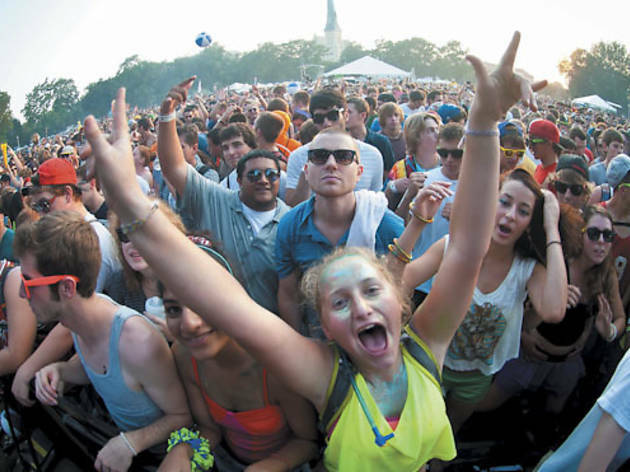 The summer of 2012 has been a crowded one for festivals, especially EDM-fueled ones, but that’s not stopping this one’s organizers from giving the candy ravers and flower kids from the new millennium one last reason to party. As a replacement of sorts to David Guetta, two-thirds of progressive dance trifecta Swedish House Mafia make high-profile appearances, with Axwell hitting a main stage on Friday and brother-in-four-on-the-floor-arms Steve Angello closing one out Sunday. For those who are less inclined to rage till the bitter end, but still prefer to stick to a beat, the god of the mash-up, Girl Talk, makes his second consecutive Chicago summer festival appearance as a headliner on Saturday. Sending the rest of us dancing into the night on Sunday, Colorado’s king of electro-hop, Pretty Lights, debuts a new stage show and new songs to go with it. North Coast isn’t all EDM either. Local jam sensations Umphrey’s McGee top the bill on Saturday and, for its second year running, East Coast jamtronic supergroup STS9 rules on Friday. Each day’s programming is as diverse as its headliners, with indie rap standouts like Yelawolf and Zion-I, and DJ legend Paul Oakenfold representing on Friday. Get your DFA on with sets from YACHT and the Rapture on Saturday, or split your time raving to Alesso and Excision. Closing out the weekend, London deep house maven Maya Jane Coles makes her Chicago debut while OutKast’s Big Boi and L.A. electro star Steve Aoki set the stage for the night’s headliners. Expanded into a legitimate stage, the Groupon Silent Disco dome has also been reimagined as a 200-person capacity respite from the sun, boasting just about every local DJ worth his or her weight in vinyl and MP3s spinning across three days. Duck in, grab a pair of headphones and chill out for a minute; this summer’s been a doozy after all. North Coast rages on at Union Park Friday 31–Sunday 2.